Published by the "Clarion" Newspaper Company, Limited, 72, Fleet Street, London, E.C. 1896. 12pp., 8vo. In faded green printed wraps. Disbound. In good condition, on aged high-acidity paper. Beneath the drophead title on p.1: 'Can England feed herself?' Now scarce. 12pp., 8vo. In faded green wraps with full title and advertisements. Disbound. On aged high-acidity paper, in brittle wraps with back cover detached. P.1 is headed '"Pioneer" Pamphlets. - No. 1. ', followed by a numbered list of the three essays. Now scarce. Autograph Letter Signed ('W. P. Schreiner') from William Philip Schreiner, Prime Minister of the Cape Colony during the Second Boer War, to 'My dear J. S. C.' [J. S. Cox], suggesting a meeting while in London for the enquiry into the Jameson Raid. On letterhead of Morley's Hotel, Trafalgar Square, London, WC. 24 March 1897. 1p., 12mo. In good condition, with slight spotting to extremities, laid down on leaf removed from autograph album. 'I am sorry that we have missed each other on the occasions you have called. My time is much occupied & it is difficult to fix an hour before 6 P.M.
Autograph Letter Signed ('Anna Jameson') from the Irish writer and art historian Anna Brownell Jameson to 'Mr Colnaghi' [the printseller Dominic Colnaghi], listing prints she wishes him to procure for her 'Sacred and Legendary Art' (1848). Three Autograph Letters Signed (all 'J Rose Innes') from Sir James Rose Innes, and one letter from his wife ('Jessie Rose Innes'), all to Lady Bower. Sir James's letters: 1935, 1936 and 1939. 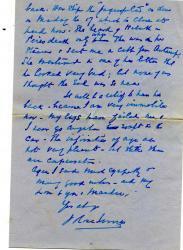 His wife's letter: 1937. All four on letterheads of Kolara Farm, Gibson Road, Kenilworth [South Africa]. All items good, on aged paper, with Lady Rose-Innes' letter in its envelope. Bower and Rose-Innes had worked together when the former was Imperial secretary to the High Commissioners for Southern Africa at the time of the Jameson Raid. Rose-Innes three letters are dated 17 October 1935 (12mo, 4 pp), 9 July 1936 (12mo, 4 pp) and 13 April 1939 (12mo, 4 pp). All are closely and neatly written. 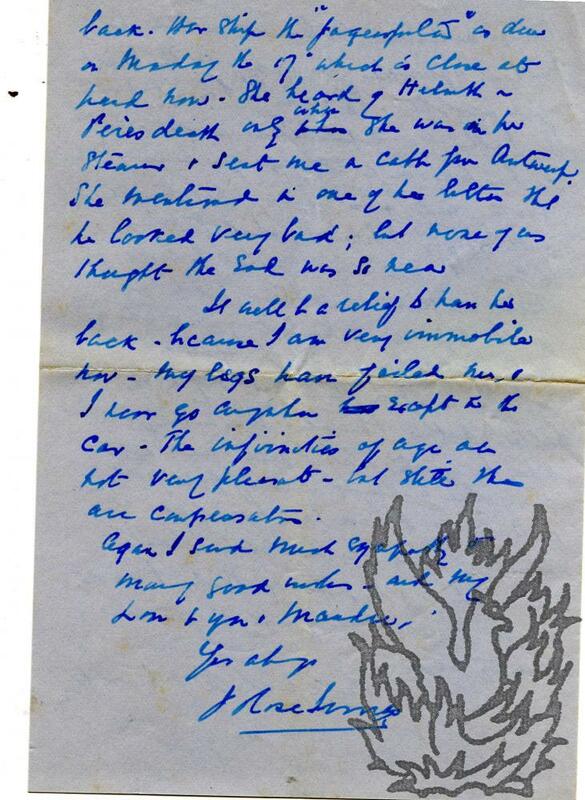 In the first letter Rose-Innes describes a journey 'through the S.
Autograph Signature on fragment of letter.